American society hasn’t been this polarized since the Civil War. Our politics have turned toxic and we can’t agree on anything. Except that Millennials are lazy, entitled brats. We’re all on the same page there, right? But the Millennial generation (ages 18-34) does get a lot of grief for its attitudes towards work and money, including their comfort with delaying behaviors that once defined independent adulthood. Stuff like moving out of their parents’ house and buying a car. A new study by Personal Capital would seem to reinforce that slacker image. Millennials, it seems, don’t think much about retirement. When it does pop into their mind their thoughts are, in the word of the study, “delusion.” Forty percent of Millennials don’t have a retirement savings account, according to the study. Nearly 75% don’t’ know their net worth. Surprising to me was the fact Millennial guys were significantly more likely than their female peers to have accounts and know their worth. In an era when most experts estimate you need about $1 million to avoid eating cat food in retirement, the Millennials are way behind. The survey participants expect to save an average of just $445,000 for retirement. But here’s that delusional part: They fully expect to make up the difference through inheritance – an average $1.06 million. OK, admittedly, all that looks pretty bad for Millennials. But in their defense, the members of this generation are between 18 and 34. 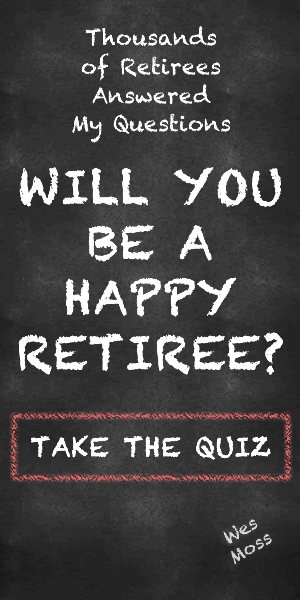 When did YOU start paying attention to your retirement? I’ve venture to guess that it wasn’t when you were 18. Or 19. Or 21. Or 24. As for that breathless report that 73% of Millennials don’t know their net worth? That’s hardly unique to one age group. Yes, the Millennials need to get with it. They are launching their careers into a perpetually wobbly economy, and are the first generation that may not receive Social Security as we know it. They should start aggressively saving for retirement from the first day of their working life. I’m actually more concerned about the generation ahead of the Millennials. Too many Americans in their late 40s and 50s are engaged in the same magical thinking as the Millennials. They are waaaay behind on funding their retirement and don’t have a plan to make up that ground. They don’t know their net worth, haven’t established a budget to track and control spending, and have much less time available to meet their retirement goals. So, let’s take it easy on the kids. This is a family problem. We all have room to improve. If you need help kick starting your retirement savings program, I’ve got some ideas for you.